Shingles is a painful rash due to the herpes zoster virus. Having chicken pox in childhood, being over the age of 60 and experiencing significant stress are risk factors for shingles. The usual treatment is oral acyclovir. However, there is evidence that some herbs can enhance the effect of acyclovir, decreasing pain and reducing the rash more quickly. Capsaicin ointment, made with essential oil of hot red peppers, may help with the pain of shingles, according to a University of Michigan Health System on line article. In a double-blind trial, reported in a 1989 Journal of the American Academy of Dermatology, a cream containing 0.075 percent extract of capsaicin, applied three to four times per day to the painful area, greatly reduced pain. A case study reported in the 2002 "Clinical Journal of Pain" related the experience of a woman with shingles who received significant relief from shingles pain by applying 2 or 3 drops of peppermint essential oil three or four times a day to the painful area. Licorice is a traditional treatment for shingles. Authors of a study reported in a 1987 issue of Antiviral Research stated that an extract of licorice in a gel showed activity against the varicella-zoster virus in the laboratory, however more research is needed to see if it is effective in humans. Licorice gel is available by prescription under the name Licrogel and over the counter under the name Licroderm. A University of Maryland Medical Center on line article lists the above herbs as well as German chamomile as traditional treatments for shingles. An article in a 2003 "American Journal of Medicine" supports the traditional use of German chamomile for temporary relief of the pain of shingles. German chamomile is available as an essential oil. There is not yet enough human research to confirm the effectiveness of these herbs for treatment of shingles pain, although using the essential oils or creams containing those essential oils is likely to have few side effects other than skin irritation. However, if you develop shingles you should consult a physician for treatment. 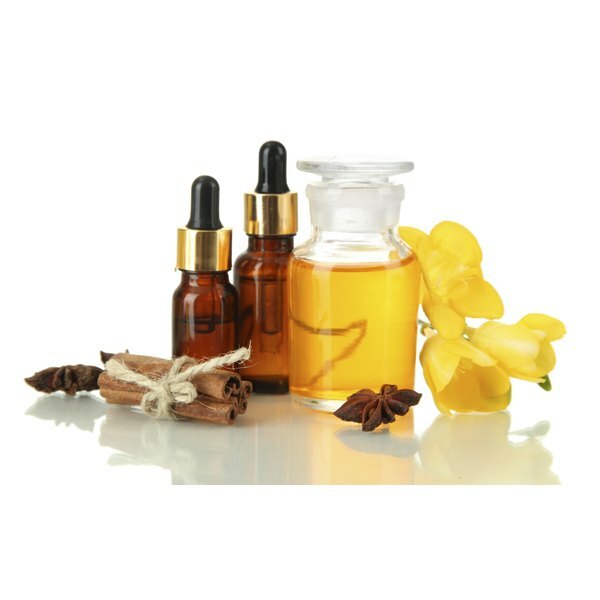 A combination of mainstream medical treatment of shingles with the use of essential oils is more effective than essential oils alone. Flavonoids from sumac, cloves, an Ayurvedic herb called haritaki and the root bark of sweet orange trees enhanced the activity of acyclovir in test tube studies. However research is needed to see whether using extracts from these herbs would increase the effectiveness of acyclovir in humans. "J Am Acad Dermatol;" Treatment of chronic postherpetic neuralgia with topical capsaicin; Bernstein JE, Bickers DR, Dahl MV, Roshal JY; 1987;17:93-6. "Clin J Pain ;" A novel treatment of postherpetic neuralgia using peppermint oil; Davies SJ, Harding LM, Baranowski AP; 2002;18:200-2. Is 20mg of Licorice Root a Safe Dosage?